This is the one complete set that I put together as a kid. 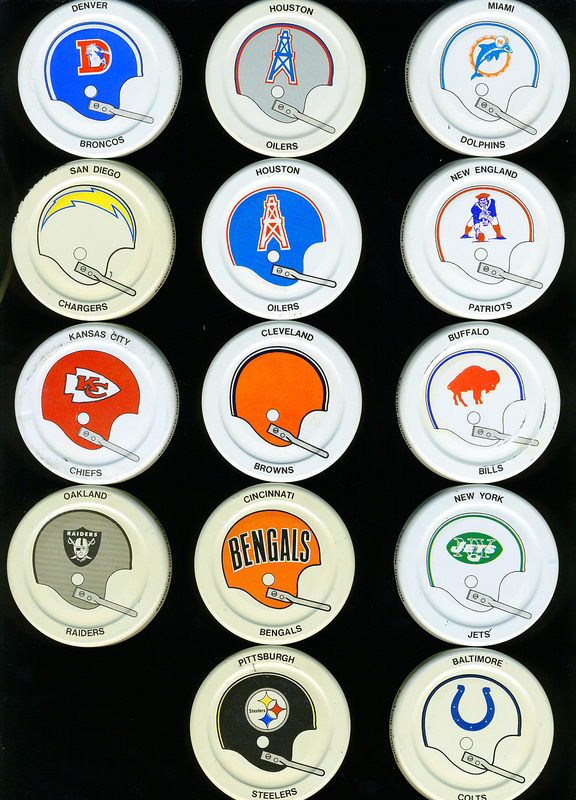 During the 1971-1972 season, Gatorade bottles featured the helmet of all 26 teams. In reality, there are 30 different lids. There are variations for Chicago (Orange C, White C), Los Angeles (White Horns, Yellow Horns), Houston (White Helmet, Blue Helmet), and of course Washington (R-Logo, Indian Head Logo). You could also order a wall display through the mail. My mom and I had a lot fun trying to get all 26 teams (we did not understand variations). For some reason the Miami Dolphins were really hard to find where we lived, but eventually we found one and finished the set. Naturally, I threw it all away when I got older. 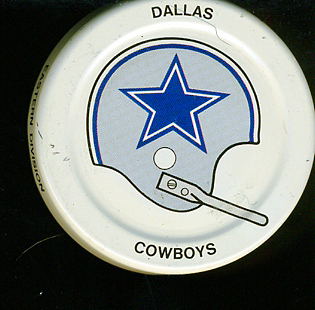 When I started collecting again, I was shocked at how popular these lids are. I quickly put together a complete set. At the time there was some debate whether the R-logo variation existed for the Redskins. eBay quickly proved it did. The R-logo variation is definitely the hardest of all the Gatorade lids to find. Since I am a big fan of the R-logo helmet, I was thrilled when I was able to get one of the Gatorade Lids. The R-Logo Gatorade lid is one of the favorite items in my entire collection. Below the Redskins lids is the full set of lids including all variations.